...but it's well worth the wait! At least I'd like to think it is. To explain the set-up first, you have to remember that I live in Ottawa, while my mom is in Toronto (about a 4-5 hour drive away), so I had to plan some sort of brunch that I could make at my mom's (thankfully, she's not averse to me taking over her kitchen) and that my slightly-picky brothers would actually eat. Everything turned out beautifully, and it was a great day (weekend) spent with mom). 1 1/2 inches from top and halve tips lengthwise if thick. Reserve for garnish. • Soup keeps, covered and chilled, 2 days. 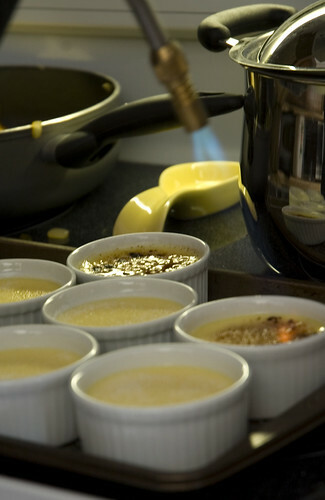 If making ahead, add last tablespoon butter and lemon juice after reheating. The tarts were essentially my own creation, with ideas and such stolen from various different recipes, blogs and web sites. 1. Melt butter over medium-low heat in a large skillet. Add onions...when you hear a very gentle hiss, turn the heat down to low. Stir occasionally, and let cook for 30 minutes. 2. Meanwhile, peel and core the apples, and cut them into small, thin slices. After the onions have been cooking for 30 minutes, add the apples, and cook for another 30 minutes. 3. Add a bit of sugar and turn the heat up slightly. Now, take another small skillet and brown the pancetta until it is lightly crisped. Drain on paper towels. 4. Once the onion/apple mixture is sufficiently caramelized (and it's going to depend on how much water your apples and onions give out....mine took about 90 minutes! ), turn the burner off. 1. Place the flour in a food processor. Add the butter and pulse gently until the butter is well combined. 2. Drop the eggs down the chute of the food processor, and process for about 30 seconds. 3. Add ice water, 1 T at a time, until you have a workable ball of dough (I found that my dough was workable BEFORE it became a ball. Keep an eye on it. If you add too much water, just add a little flour. *Depending on your food processor, you may need to halve the recipe and do it in two batches. This amount of dough is enough for 8 5.5" tarts (I bought the adorable little pans for mom as part of her gift). 4. Divide the dough in half. And then in half again. Take half of this, and roll it out thinly with a rolling pin, on a well-floured surface. It should roll out large enough to fill the 5.5" pan. 5. Press the dough into the pan, and trim. 6. Continue for remaining seven tarts (I had four pans, so I just did this in two batches). 1. Cover the bottom of the tart with a bit of pancetta. Grate the aged cheddar over top. 2. 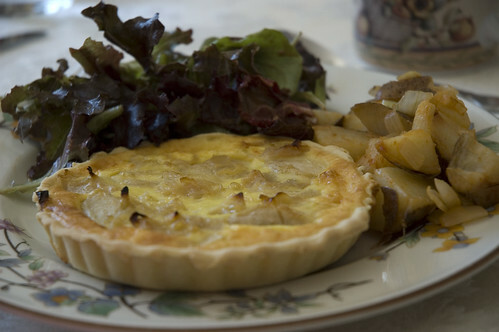 Take a small amount of the apple onion mixture, and continue filling the tart. 3. Now, whisk together the whipping cream and eggs and gently, carefully, fill the tart to just below the brim. 4. 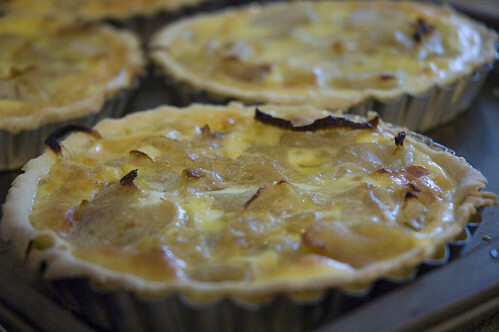 Continue with remaining tarts. 1. Preheat oven to 375F. 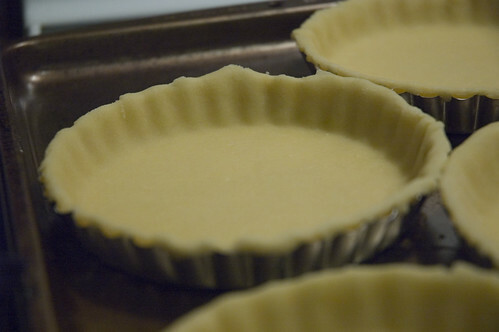 Bake tarts for 30 minutes (check for doneness by jiggling the pan). 2. 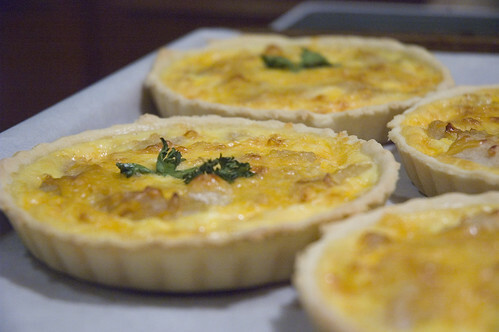 Tarts can be made a day ahead, and then just reheated. Once they are cool, they will hold their shape and you can remove them from your pans. My second batch were meatless, so I put some parsley on top to tell them apart. These are unbelievably cute for a brunch. Definitely make them ahead, as they are waaaaay too labour intensive for a morning affair. I served them with salad (with my classic balsamic dressing - 1 T balsamic vinegar, fleur de sel, 3 T olive oil, 2 t dijon mustard), and some hash browns (this was just happenstance as there were leftover baked potatoes from the night before - I just cooked them in a bit of olive oil, with spanish onion, and a hefty dose of smoked paprika). 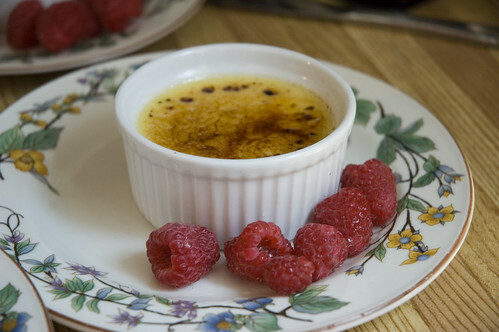 And of course, to finish off was super yummy vanilla bean crème brulée (which I've both made and blogged about before.....you can find the recipe I use on epicurious - I just omit the ginger. It's PERFECT every time, and another make-ahead favourite. And of course, everyone loves breaking through the delicate sugar crust, and the flavour of the vanilla bean is unbelievable. Though my brothers think you could get a similar result if you just use jello instant vanilla pudding....I beg to differ. This is the real thing, and it's fantastic. We had a wonderful morning, spent with a wonderful mother, and full of great memories. Mom was happy to have all us kids tracked down, and I was just happy I could do something nice for my mom, who's done innumerable amazing things for me. Let me just be the first to say it was worth the wait. Yum! And happy belated mother's day. quellia - yeppers, I'm an Ottawa gal. West End. peabody - thanks! 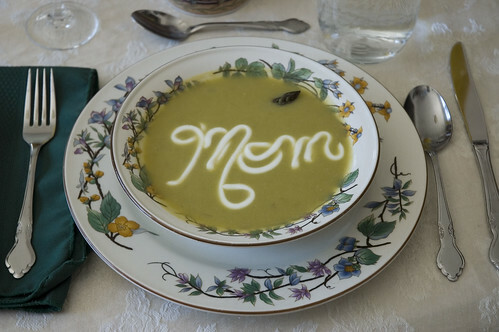 the other soups had hearts on them, in various misshapen states. It's amazing what you can do with a little sour cream in a baggie, eh? 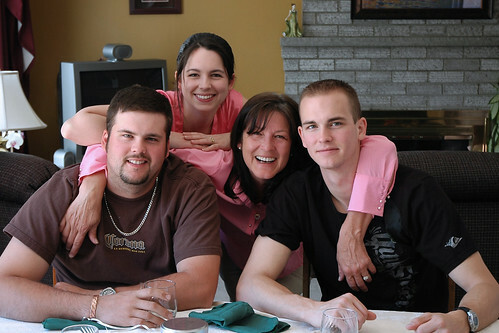 What a gorgeous family you all are. That menu is awesome and sounds utterly delish! You're right, it's been a long time coming...my thanks I mean! I've been digging in the garden all week and have just come up for air. What a terrific weekend! You can't know how much pleasure it gave me to have you all here! You are an amazing daughter and I don't quite understand how I got so lucky with my kids and their significant others but I'm keepin' y'all! What a beautiful brunch, it was no easy feat to work in another kitchen but you did it with style and, as always, class. The meal was sooo delicious! Thank you so much for all the goodies you and Brad gave me as well, the little tart pans, the spices, coffee, Fench chocolate and oooooh, the VANILLA BEANS. I must confess, I sometimes just pop the cork and smell them...heavenly.